Parador de Oropesa is a beautiful building that oozes history through its spectacular rooms, columns and arcades, courtyard and imposing keep. It was once the ancestral home of the Álvarez de Toledo family, Counts of Oropesa, and in past it has sheltered soldiers, religious persons and nobles. In 1930 it was converted into the first historic Parador in the government-owned chain, paving the way for a network of lodgings located in castles, palaces, convents and monasteries which is unique in the world. A stay at the hotel becomes a date with history in an enticing location where you can relax and enjoy the spectacular views of the Sierra de Gredos mountains and the excellent cuisine. 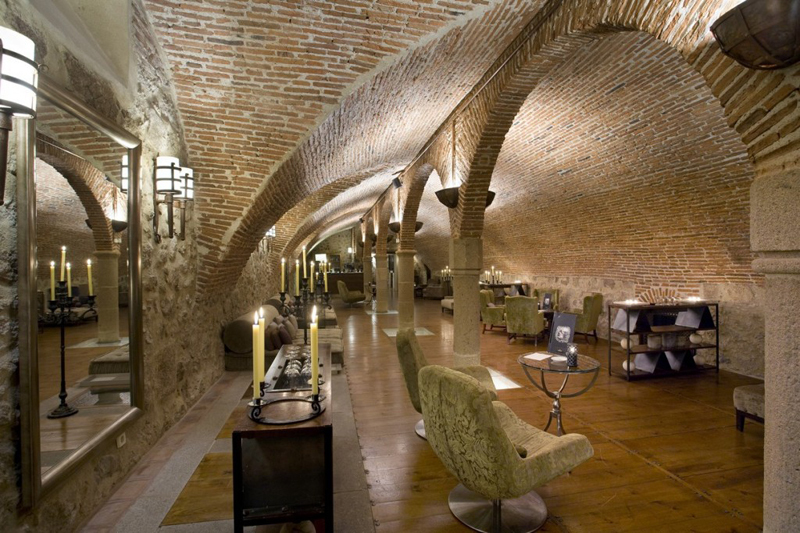 Parador de Jarandilla de la Vera was built in the 15th century and has watched the centuries pass by from its location in the heart of the fertile region of La Vera and the Tiétar River. This palace once hosted Emperor Charles V for a period of several months. The hotel's noteworthy exterior features include the fortified towers, parade ground and excellent swimming pool surrounded by olive and orange trees. Inside, the atmosphere is tranquil and private, making it the ideal choice for a very special stay. In the restaurant migas extremeñas (Extremadura-style fried breadcrumbs), patatas revolconas (paprika mashed potatoes with bacon), tomato soup, fried suckling pig, braised kid goat and repápalos (deep-fried breadcrumb balls) with milk and cinnamon, will entice your palate. Parador de Plasencia occupies the old Santo Domingo Convent, founded by the Zuniga family and built in the 15th century. Situated in the monumental Plaza de San Vicente Ferrer adjacent to the palace of the Marques de Mirabel, it is built in gothic style. 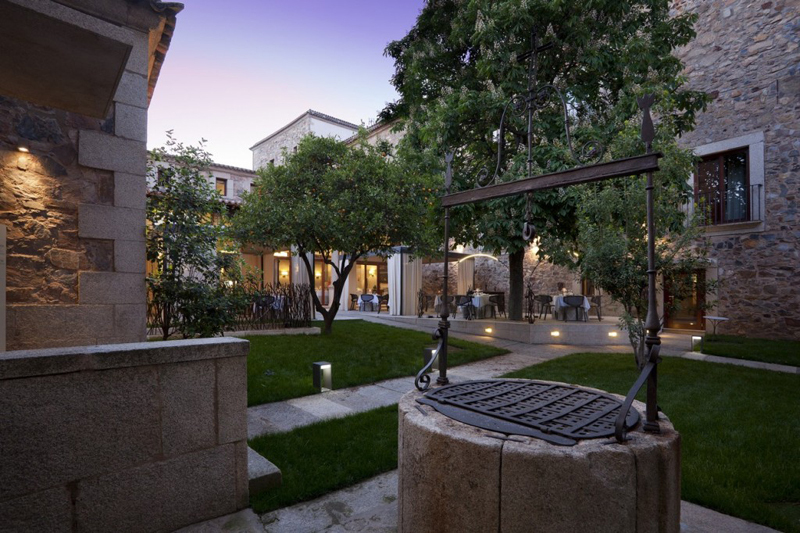 The hotel´s historical interior includes thick stone walls, vaulted ceilings and beautiful décor which has the fabulous feature of a 15th century Renaissance cloister and the original sacristy adorned with Talavera tilework. 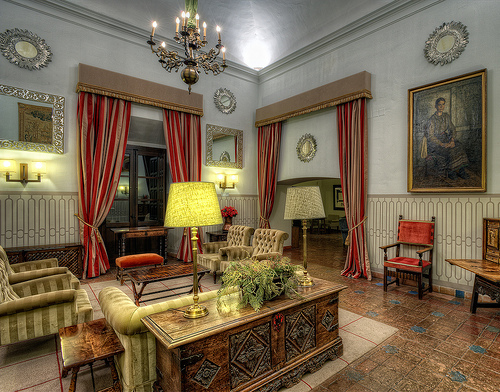 Parador de Trujillo is set in the former 16th century Santa Clara convent. The town was taken from the Moors in 1233, and became known as the Cradle of the Conquistadors, as it was the birthplace of Francisco Pizarro, conqueror of Peru. 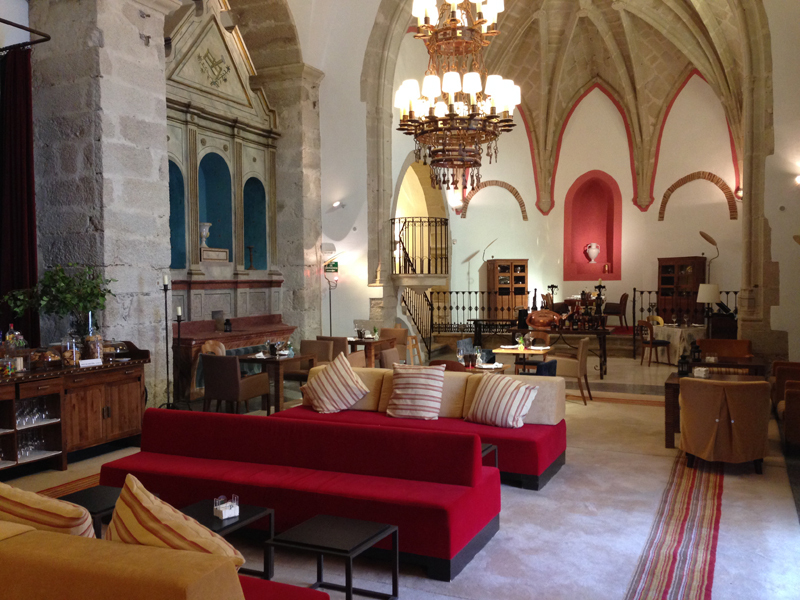 The hotel manages to preserve the peaceful and calming atmosphere of the convent buildings, and inside there are two lovely cloisters, one with Renaissance arches and columns. The second gives the complex a touch of brightness that makes the atmosphere even more beautiful. Parador de Cáceres is situated in the heart of the old quarter of this interesting town, declared a World Heritage Site by UNESCO. One of the best times to see the town is at night when the defensive walls and buildings are lit with artificial light - a good enough reason to stay in the Parador of Caceres. 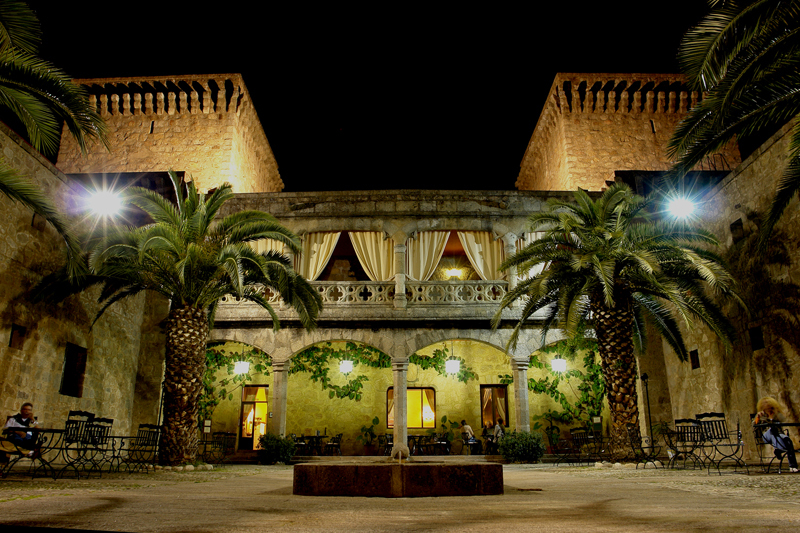 The Parador itself is the building which was once the Palace of Torreoraz. It was built for Diego Garcia de Ulloa, a knight of the Order of Santiago, in the 14th century and has the family coat of arms displayed. The building was built in Gothic style and incorporates an old slender tower. In the building, is an inner courtyard which is perfect for relaxing with a book or just taking the time to enjoy the tranquillity. On our tours we stay in a selection of individually chosen, well-presented hotels and guesthouses situated in ideal tourist locations, providing a friendly welcome and local traditional cuisine. Invariably they are in exceptional surroundings with the added benefit of a pool for that well deserved après-ride dip. Deluxe Cycle Tours has been recommended on Simonseeks.com. Simonseeks.com is a website where a community of travellers, journalists and celebrities can upload travel guides and share their tips on the best places to stay, eat and visit. Ranging from best hotels in Nice to cheap hotels in Cannes. Cycling holidays France & Spain- Deluxe Cycle Tours offer luxurious, guided cycling tours of some of the most beautiful and spectacular regions of France & Spain without the luxurious price tag. Our philosophy is that a cycling holiday can, and should be, a deluxe experience. Every detail has been planned to maximise your comfort and style both on and off the bike.